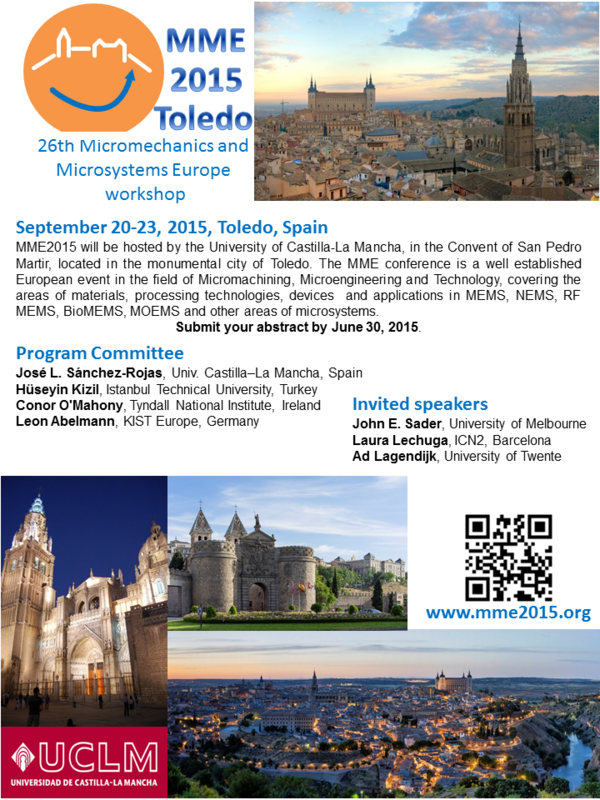 The MME is a well established and recognized European annual workshop on microtechnology. The goals are stimulation and improvement of know-how in the field, as well as the establishment of cooperation and friendship between delegates. The accent lies on mutual discussions around poster presentations rather than on formal oral presentations. A small number of world leading experts are invited to review key research topics, focusing on both latest results and background concepts. To foster a friendly and informal atmosphere, the number of participants is limited to approximately one hundred. The MME is specifically of interest to young researchers. Submission of preliminary results is encouraged, and special attention is paid to publication and presentation skills. Substantial time is reserved for poster sessions. Authors will be given the opportunity to highlight the essence of their work in a 2-minute flash oral presentation prior to the poster session. Ample time will be available during the poster sessions for discussions of new ideas and results. Young scientists are encouraged to present their on-going work. The workshop offers an attractive meeting place where new and important achievements can be discussed.